As the burners on your Frigidaire flat top stove age, the likelihood of one failing increases. If the burner fails, it will not heat to the set temperature, or will fail to heat altogether. When the burner fails, it must be replaced with a new burner. The burners are located under the flat top surface, which is made of glass and must be lifted out of the way to access the burners. Before lifting the surface, be sure to disconnect the range's power source to avoid injury. Pull the range away from the wall and unplug the power cord from the electrical outlet. Open the oven door and then remove the screws securing the glass flat-top to the appliance. The screws are located under the front of the glass flat-top panel. Close the oven door and then lift the flat-top panel up. Place a stick or other sturdy object under the flat-top panel to keep it elevated during the repair. Remove the screws securing the cross-brace containing the burner that you would like to replace. Turn the cross-brace over and look at the slots that the two burner tabs are inserted into. Place a small mark beside each slot using a marker. Squeeze the tabs using a pair of pliers and remove the burner from the cross-brace. Turn over the burner and look at the curved clips, which contain the tabs that were inserted into the cross-brace. Note the letter or number of the slot in which the curved clips are installed on the underside of the burner. Remove the screws securing the curved clips and then transfer the curved clips to the slots with the same numbers or letters on the underside of the new burner. Remove the wires from the old burner by pulling the connectors off the burner terminals. Connect the wires to the new terminals. Insert the tabs from the curved clips into the marked slots on the cross-brace. Align the assembly with the underside of the flat-top panel and secure using the screws that were removed. Lower the flat-top panel back onto the body of the range and secure it using the screws that were removed. Plug the range's power cord back into the electrical outlet and push the appliance back against the wall. Andrew Todd has been writing since 2006. He has written for the Consumer Search website and the U.S. Attorney's Office for the Middle District of Florida. Todd has a Bachelor of Science in criminal justice from the University of Central Florida. How do I Lift the Stovetop of a Kenmore Flat Top Electric Range? 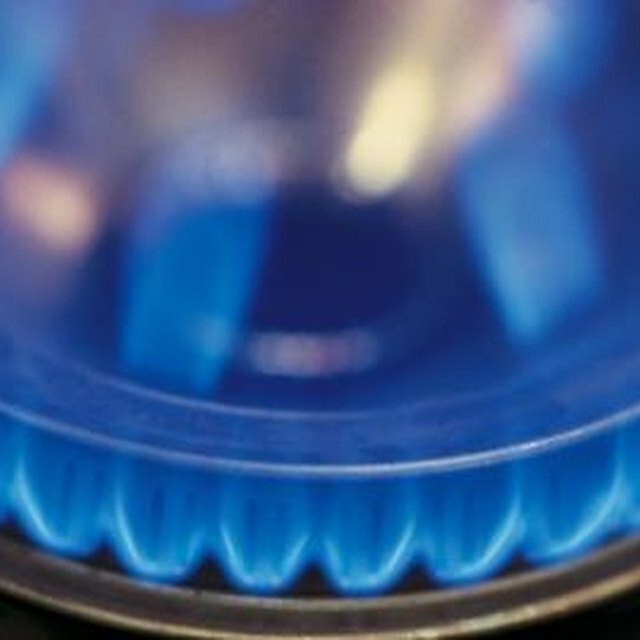 What Are the Different Widths of a Gas Range?